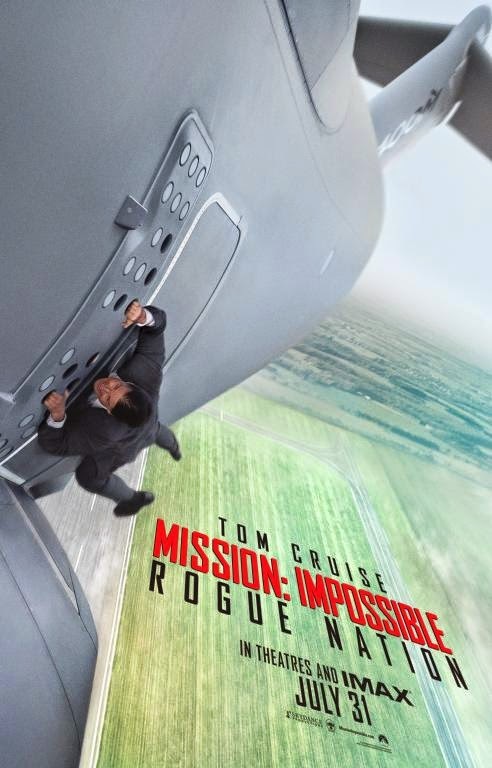 #MoviesMusicPlaysFilmFestivalsConcerts: News: Tom Cruise is back in top form in brand-new Mission Impossible trailer! News: Tom Cruise is back in top form in brand-new Mission Impossible trailer! Tom Cruise, the Hollywood superstar, is back in top form in the action-packed new trailer released today by Paramount! In this 5th and exciting new installment of the hit franchise, IMF agent Ethan Hunt is on the run as he is tracked down by a dangerous and highly-trained group of rogue assassins known only as the Syndicate but with the help of his colleagues he plans to beat this nefarious group at their own game and by any means necessary! Joining Cruise in the movie are Jeremy Renner as William Brandt, Simon Pegg as Benji Dunn, Ving Rhames as Luther Stickell and Alec Baldwin as the Head of the CIA. Other cast members include Sean Harris, Rebecca Ferguson, Simon McBurney and Zhang Jingchu. The movie opens on July 31!